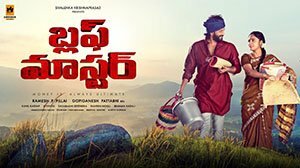 Varsha Meghana: Another small film which is all set to surprise the cinema lovers with engaging content is ‘Bluff Master’. 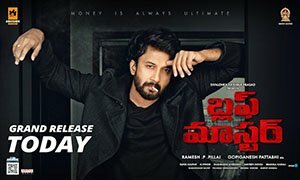 Starring Satyadev Kancharana of ‘Jyothi Lakshmi’ and ‘Ghazi’ fame, the film is the remake of critically acclaimed Tamil heist thriller, ‘Sathuranga Vettai’. 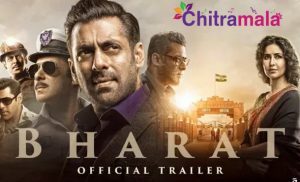 With the catchy dialogues and intriguing content, the trailer has already grabbed the attention. Gopi Ganesh is marking his second directorial venture after ‘Romeo’. Nandita Swetha romanced Satya Dev in the film which finally hit the big screens today on December 28th, 2018. The trailer promised an interesting and engaging thriller. Let’s check out the review of the film. Uttham Kumar (Satya Dev) cheats people with different identities, and he comes out without any punishment because of his contacts in the crime world. From childhood, he develops a negative feeling on the society and decides to take revenge on the same. In the process, he attempts and executes some high-profile scams. What happens in the end? Did he ever get caught? Did he mend his ways? Forms the story of the movie. Satyadev Kancharana is undoubtedly the highlight of the film. The way he portrayed all the emotions is a delight to watch. Even, his dialogue delivery is very nice, and we can say that the actor has made a promising debut as a full-fledged hero with this film. Nandita Swetha looked beautiful and the film and delivered a decent performance. She also maintained cute chemistry with Satyadev and impressed the audience. Brahmaji got a meaty role in this film. He appeared with a stylish look when compared to his other movies and did a great job. Aditya Menon did his best for the film Prithviraj and Vamsi are perfect for the roles they played in this film. Shiju’s performance will grab the attention. His performance as ACP will grab the attention. Chaitanya Krishna looked decent and performed well in the movie. The production values are rich. The runtime is crisp. The music by Sunil Kashyap will add extra brownie points. Background music is astounding. Cinematography by Dasaradhi Shivendra is superb. He produced some bright visuals for the film. Editing by Navin Nooli is just average. Every technical person has contributed their best to the film. The director has prepared a gripping story. Though it is not an edgy thriller, we can say that the suspense will captivate the audience. As the movie is the debut film of Gopi Ganesh Pattabhi, we can see some flaws in his direction, but they won’t disturb the flow. However, his powerful dialogues are fantastic. Even though the film is a remake, the director made sure that the Tamil nativity does not come into the play. With a beautiful performance from Satyadev, the director tried to tell his story entertainingly. The best part of the movie is the screenplay as the director wrote it engagingly. On the whole, the film gives a perfect ending to the current year, and it is a hit. Satyadev proves his worth as a solo hero and lets us hope to see this talented hero in more exciting movies.